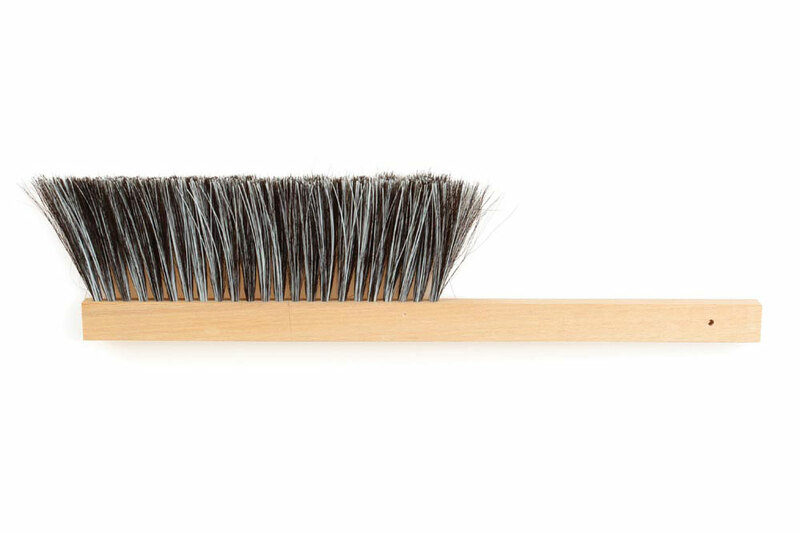 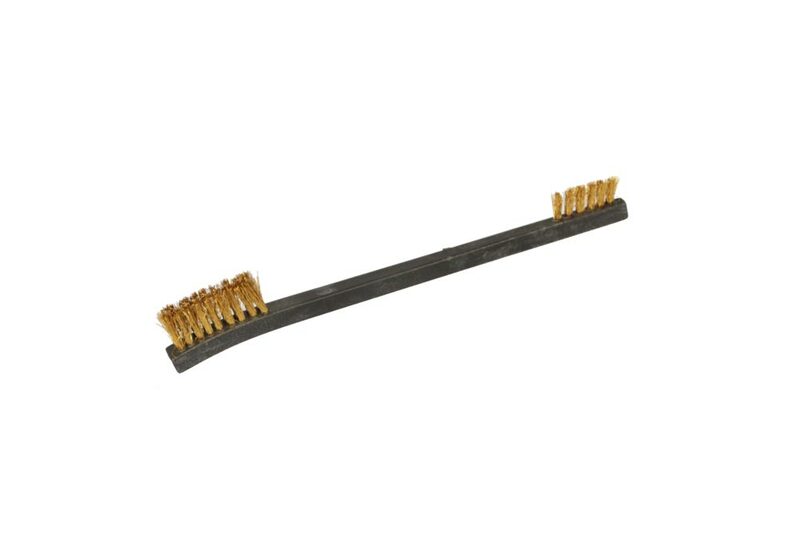 Industrial brooms are a special type of lath brush. 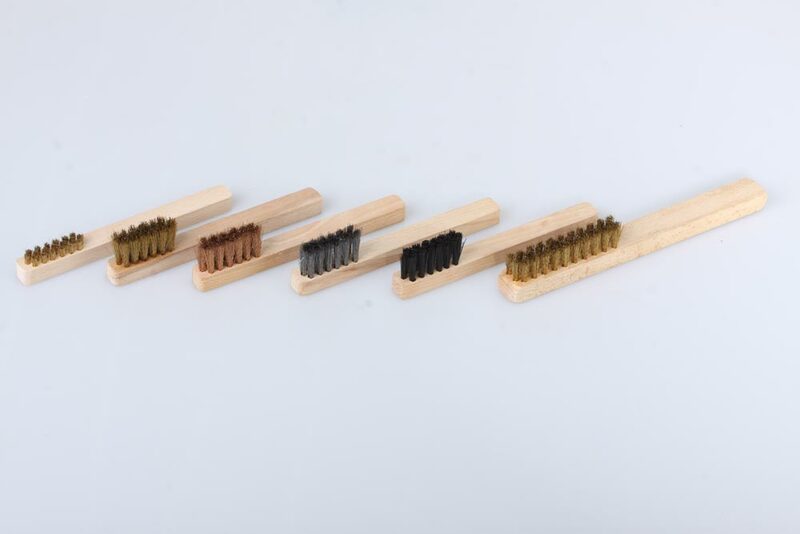 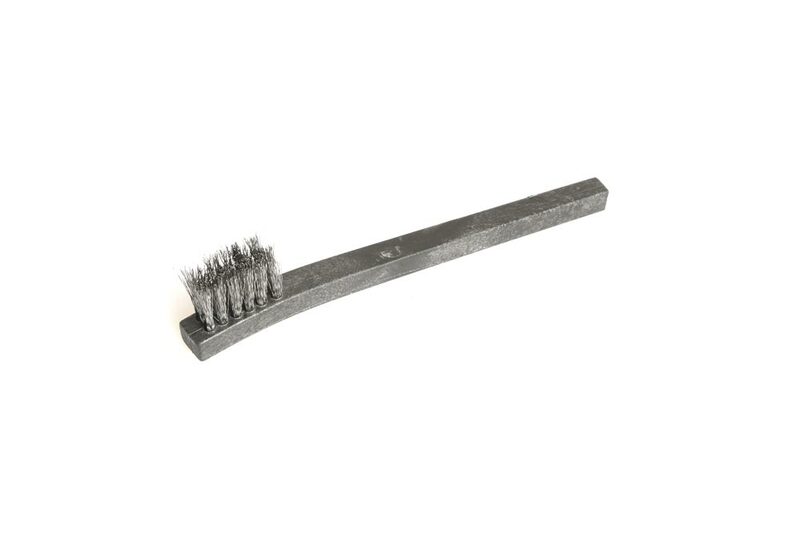 Due to the focus of our company on industrial production, we offer this type of product to a certain extent in limited quantities, however, these brushes are made of high-quality materials, whether body or filament material. 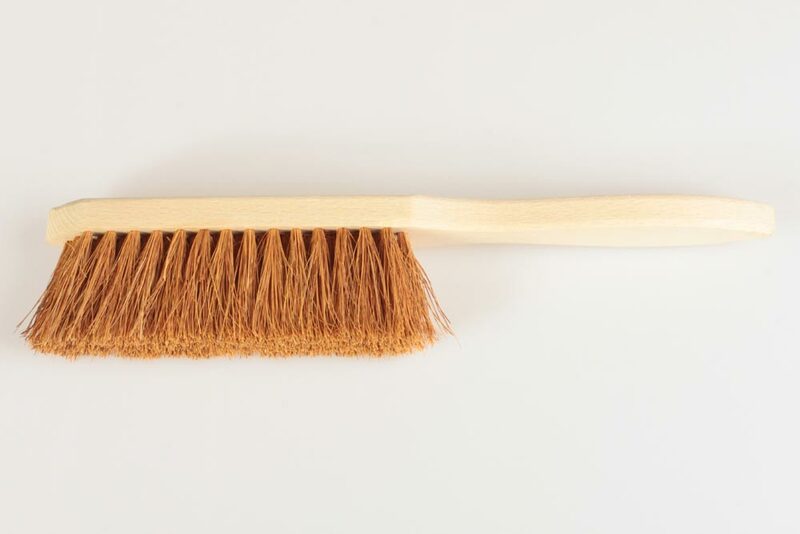 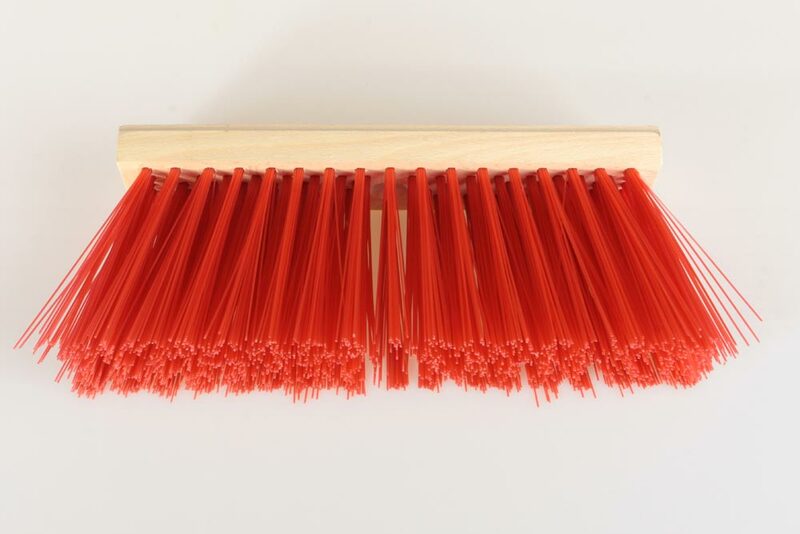 Fiber used to fill industrial brushes can be antistatic, resistant to acid or alkaline environments, but suitable also for use at high temperatures. 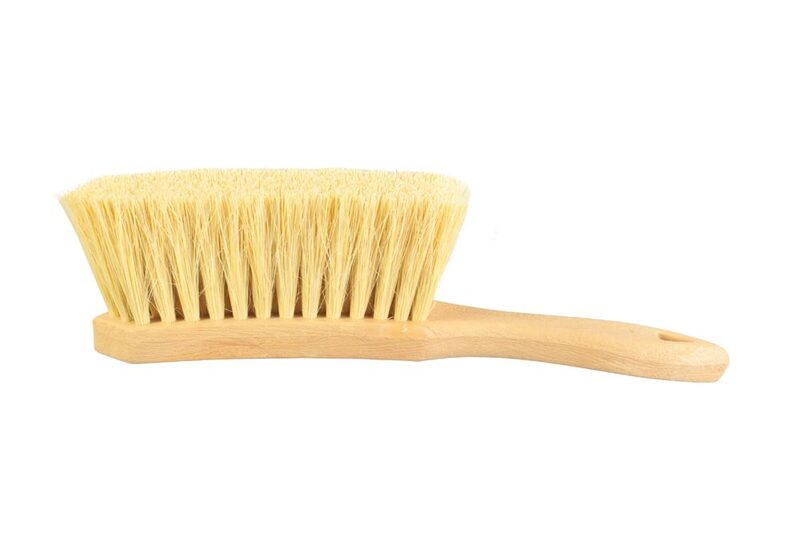 We also offer 100% natural fiber. 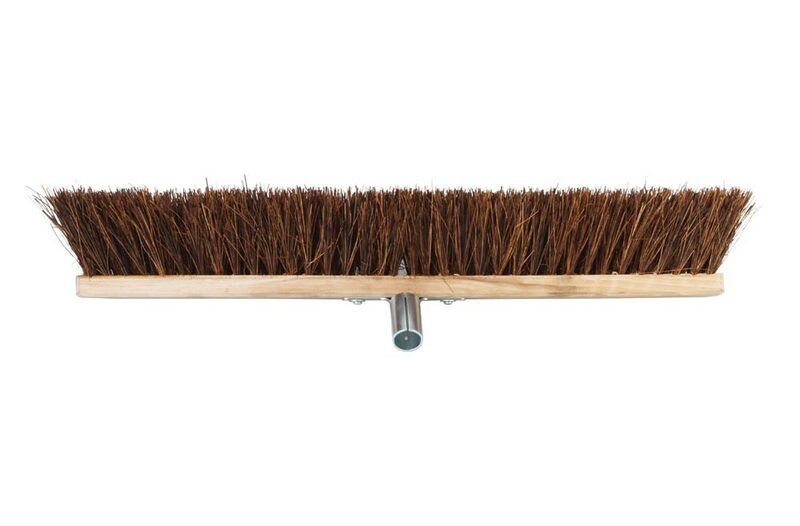 Industrial brooms represent another type of punched brushes. 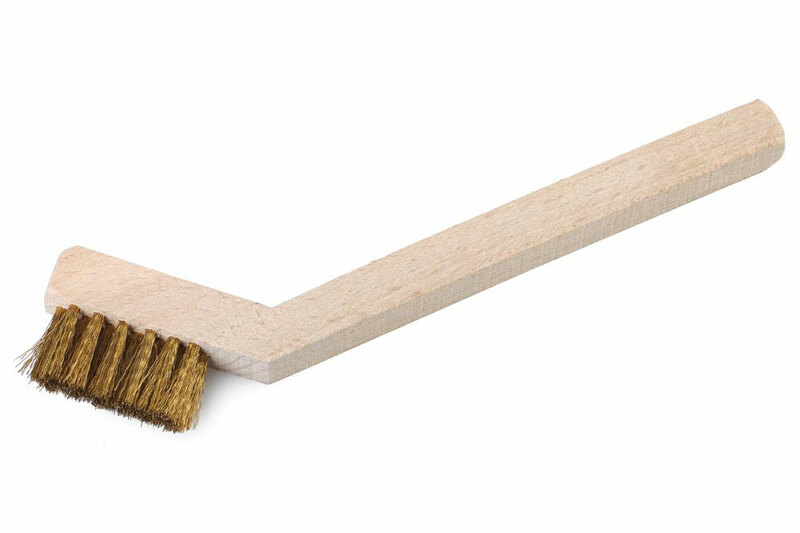 So the body is a suitable material for this kind of application. 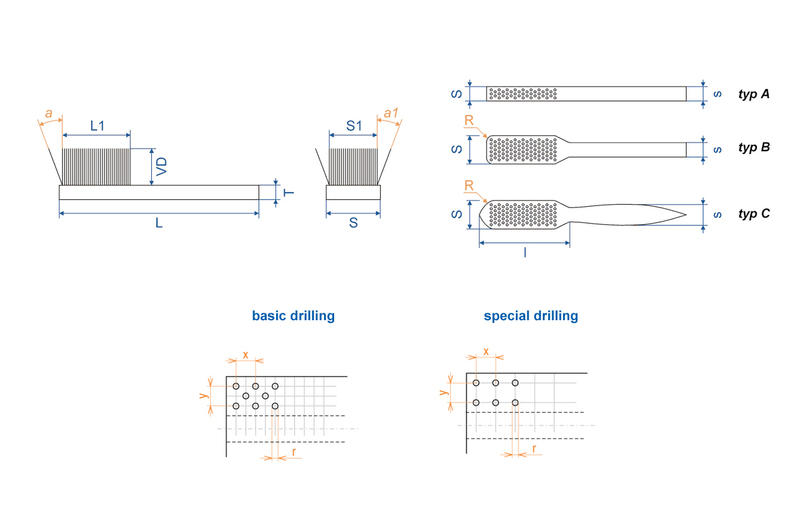 The bodies are offered in different types – A, B or C. Blind holes are drilled into the body and the filament material in form of individual bundles is then attached using staples (wire). 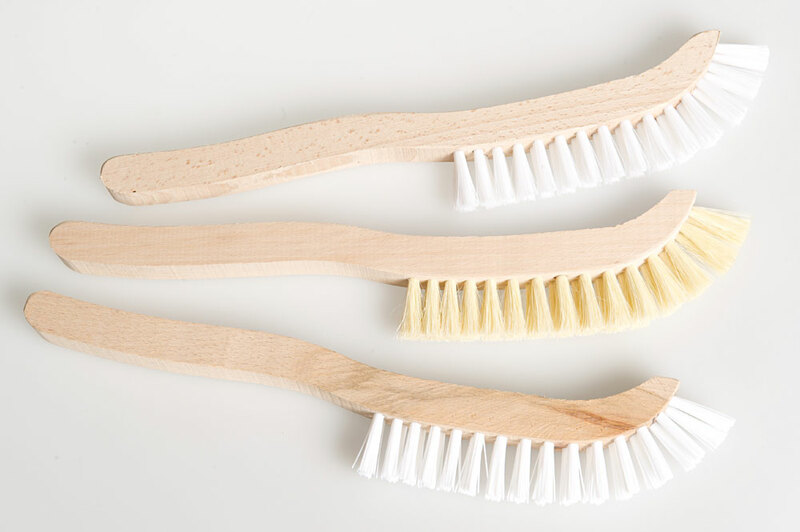 In case that the machine production described above is not possible, we are able to supply brushes made with a technology called retraction, which is the oldest brush-making method and is fully manual.